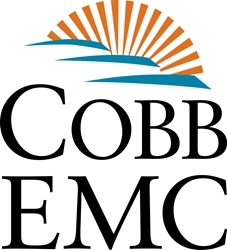 The Cobb EMC Board of Directors invites members of Cobb EMC to attend the cooperative’s upcoming town hall meeting on Monday, June 24. The event, which will provide members an opportunity to interact with directors and receive an update on board activity, will be held from 6:30 – 8:30 p.m. in the Cobb EMC community room at 1000 EMC Parkway, Marietta, GA. Though the meeting is open to all Cobb EMC members and members of the press, the community room has a limited seating capacity of 200 and is first come, first seated. Guests should plan to arrive early; parking is also limited. To register to attend, members may call 678-355-3090 or visit www.cobbemc.com/townhall to provide the number of members in their party so that we can plan appropriately. Photo identification is required to verify membership.